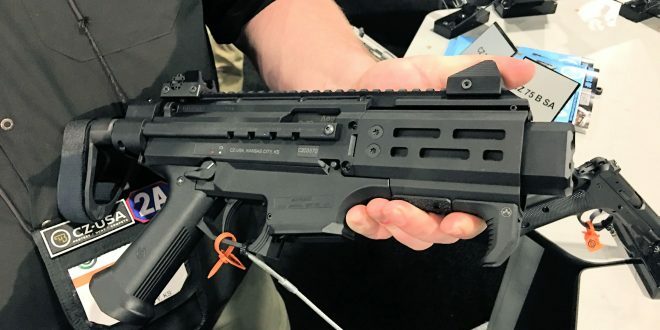 CZ Scorpion EVO 3 S2 Pistol Micro with Arm Brace: One Very Cool Little 9mm Pistol Package! (Video!) | DefenseReview.com (DR): An online tactical technology and military defense technology magazine with particular focus on the latest and greatest tactical firearms news (tactical gun news), tactical gear news and tactical shooting news. 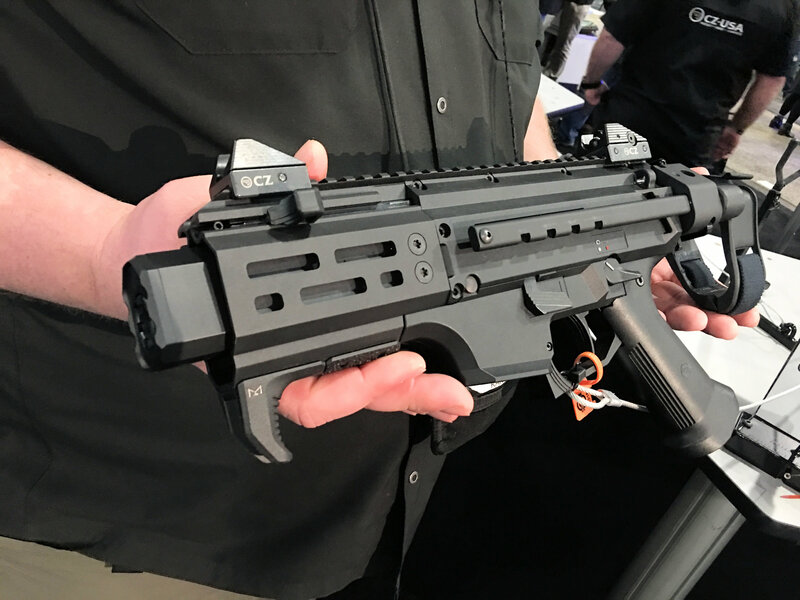 If you liked the new reflex-suppressed CZ Scorpion EVO III (or, EVO 3) Micro S2 Reflex 9mm pistol/SBR (Short Barreled Rifle) / submachine gun/personal defense weapon (SMG)/PDW, which we just wrote about, then you should also dig the new CZ Scorpion EVO 3 S2 Pistol Micro with Arm Brace and NoOsprey faux Silencerco Osprey muzzle can (silencer/sound suppressor). We certainly do. 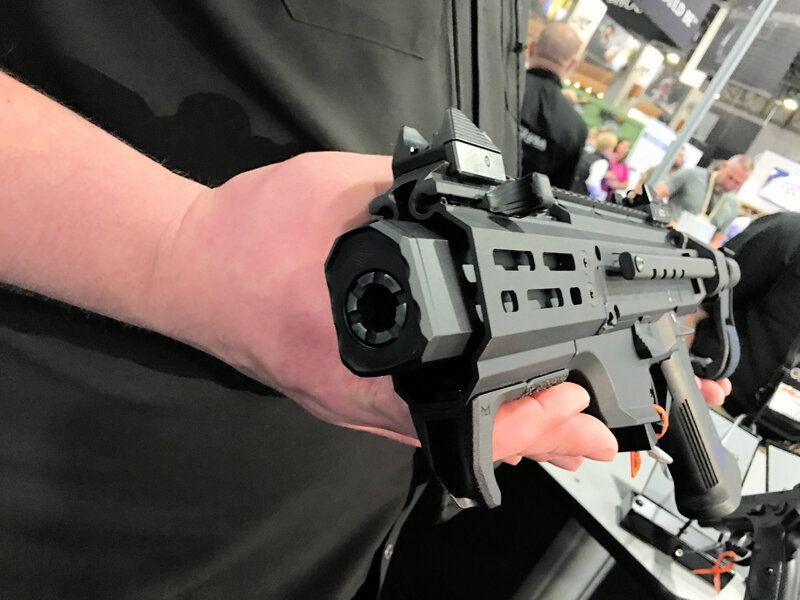 DefenseReview (DR) got to view and handle it at SHOT Show 2018, and really liked the look and size of it. It’s just a fun little gun, and worthy of a look. 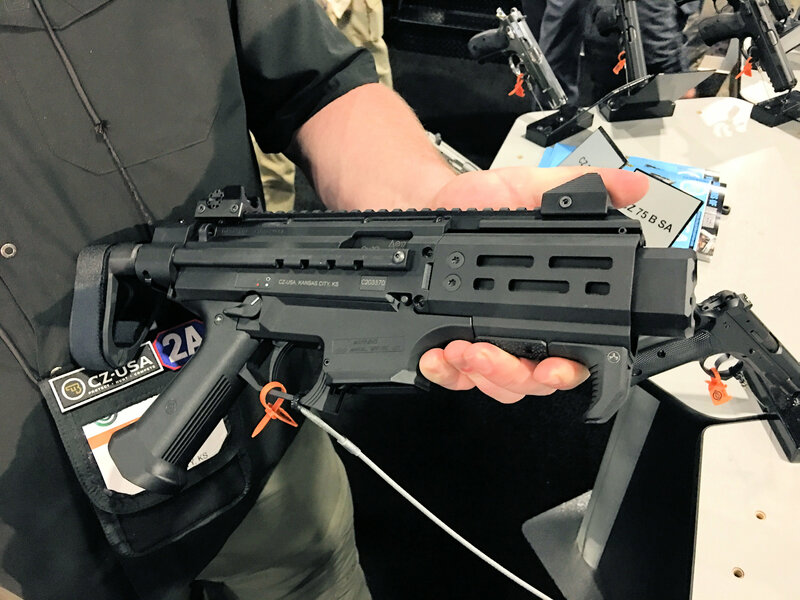 With a 4” barrel and HB Industries short handguard, this diminutive Scorpion is the result of our development of a smaller, suppressed Scorpion for an undercover drug interdiction unit. With a collapsed length just over 16 inches, this pint-sized pistol features a NoOsprey faux suppressor from the folks over at SilencerCo. Its telescoping SB Tactical arm brace extends for additional stabilization, making this one potent little package. DR likey. 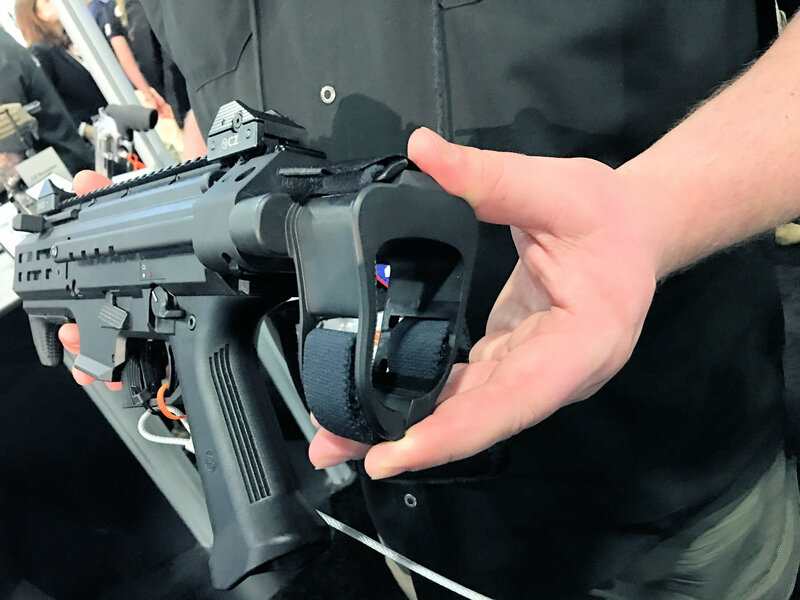 However, full disclosure, Defense Review has yet to actually run a scorpion (of any kind) at the range, so we can’t yet attest to its reliability at high round count, or in military-grade adverse conditions testing.